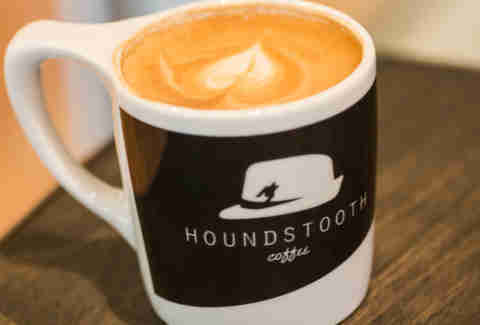 Your last cup of coffee should come from Houndstooth Coffee. Houndstooth is home to the best beans, the best equipment, and the best-trained staff in the land. Order an espresso or three. You’ll need it. Don’t let the modest trailers fool you, this place means serious business and it's a favorite of Paul Qui. 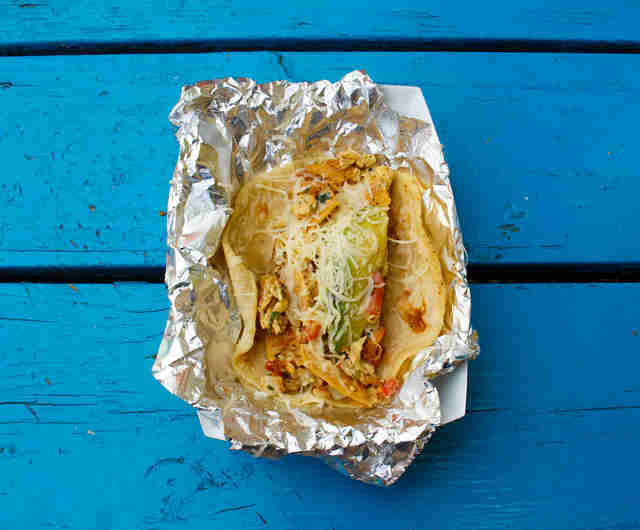 It makes a migas taco that is out-of-this-world good; think crunchy tortilla strips, eggs, avocado, pico de gallo, and cheese all wrapped up in a homemade flour tortilla. It goes best with its watermelon agua fresca. We aren’t going to start listing nerdy Middle Earth foods, but we will get ourselves over to Fixe for its mouthwatering biscuits. They are thick, still hot from the oven, and served with preserves and a dollop of 'nduja (a spicy, spreadable pork sausage). For this meal, we’d pop over to the new South Lamar spot, VOX Table. 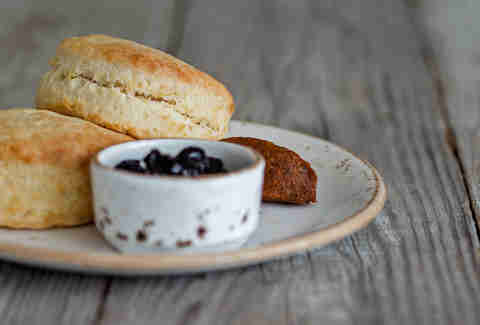 Its brunch menu is available Saturday and Sunday from 11am-2pm. What’s good? 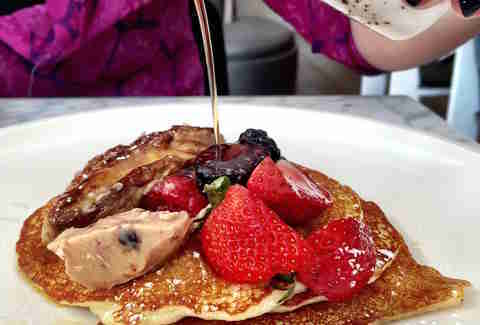 This: Olive Oil Pancakes with fig/walnut butter, and maple syrup. And... since you’ll be dead tomorrow, go ahead and add the $14 seared foie gras on top. Wash it down with its take on the margarita: the “Danny Trejo” (Olmeca Altos plata tequila, Lillet Blanc, lemon, smoked pineapple ginger shrub, grapefruit oleo saccharum, and Fire & Damnation bitters). 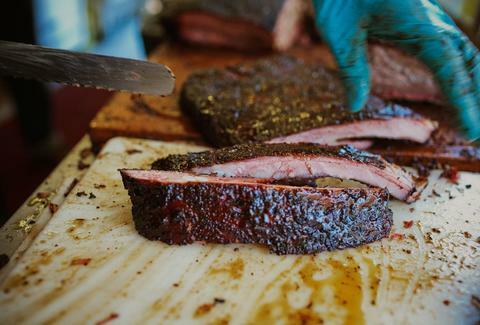 We’re still not full (because, magic) so we’ll head over to La Barbecue. 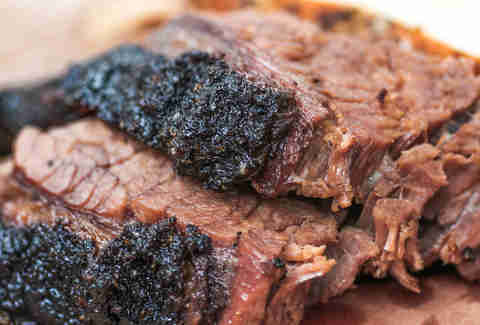 One pound of fatty brisket, a side of Buttermilk Potato Salad, and a Lone Star will do. For happy hour, we’ll need something revitalizing and fresh. Clark’s Oyster Bar is sunny and colorful and it makes a mean cocktail. 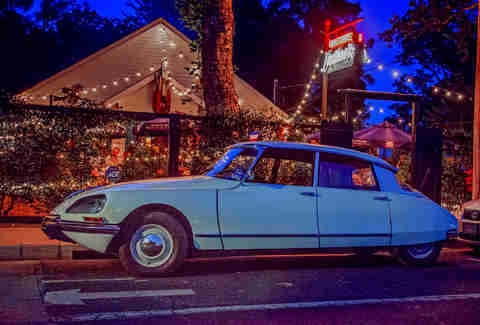 Its M-F HH special offers 50 cents off oysters, half-price burgers, and $5 martinis. (On weekends, half-off bottles of wine!) 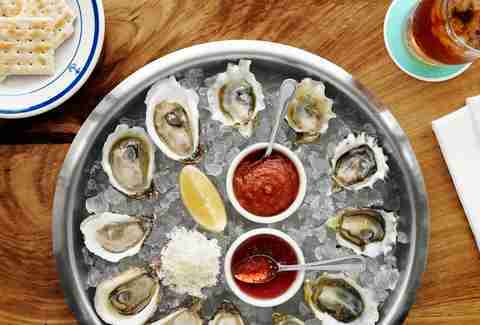 So, we’ll have an assortment of fresh East and West Coast oysters, and a couple of gin martinis. Stirred, never shaken. With so many amazing choices, dinner was a really tough one, but we feel very strongly that this was the right move. 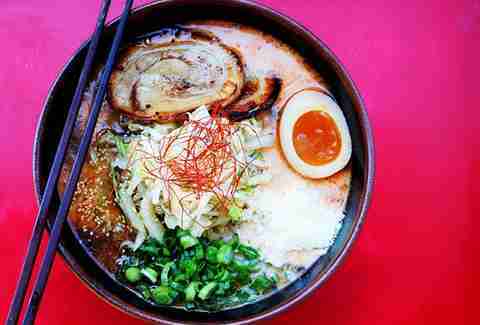 First, a meal at Ramen Tatsu-Ya is hands down one of the best meals in town with umami profiles that are second to none. Order the #1 Tonkotsu Original -- it’s a creamy pork bone soup with chashu (sliced pork), an ajitama egg (aka marinated in goodness), wood ear mushroom, and scallions. Also, don’t skip the Sweet & Sour Yodas; these fried Brussels sprouts tossed in apricot vinegar and curry spice are stunning. Launderette’s Executive Chef, Rene Ortiz is a magician in his own right -- but we’re here for dessert. Pastry Chef Laura Sawicki’s creations are playful and visually beautiful, especially her Pistachio Rosewater Parfait, served with grapefruit, fennel, candied pistachio, yogurt, and tahini. 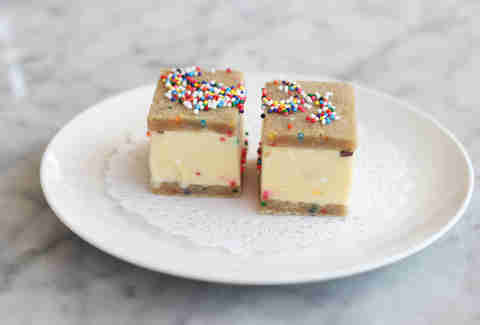 Or you can go with her Birthday Cake Ice Cream Sandwich, a fun throwback to childhood. Hands down. Vinyl playing, beautiful women everywhere, the buzz of a hundred interesting conversations -- atmosphere is everything at Justine’s. (Plus, the kitchen and bar stay open until 1:30am.) It’s like walking into a sensuous alternate reality. If the good Lord decides to takes us now, we’d die happy -- with a Sazerac in our hand and Charlie Parker in our ear (and maybe some steak frites).